Filtration Bottle, Tablets, (9) 8.5 oz. pkgs. 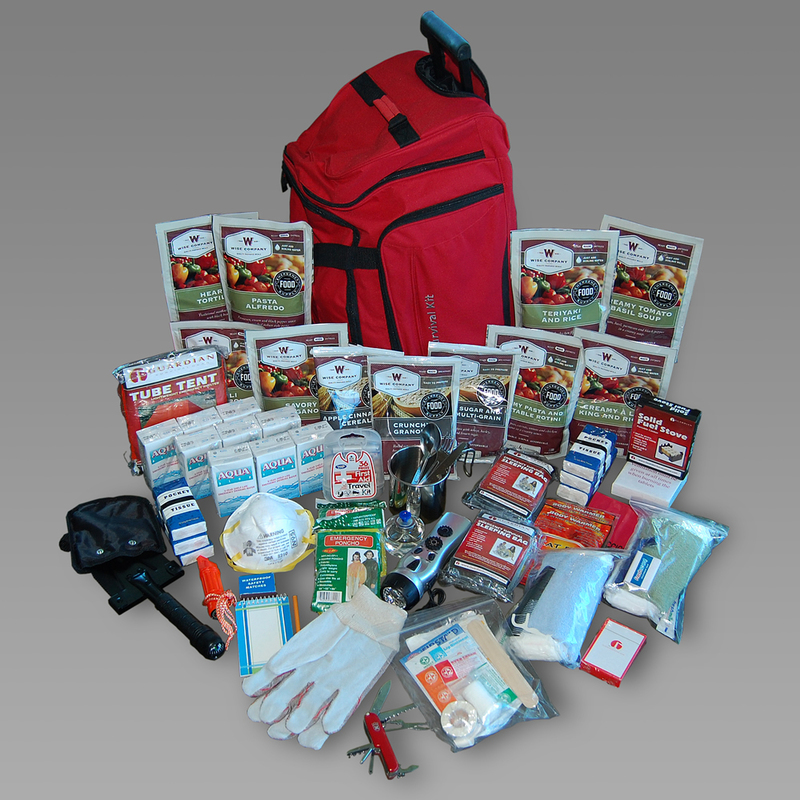 This kit includes everything an adult will need in an emergency kit: food, light, hygene essentials, cooking equipment, survival tools, warmth & shelter supplies and vital first aid! This kit comes in an emergency wheeled duffle bag for both organization and grab‘n’go convenience. Materials are non-perishable and will be there when you really need to use them. As always, this product is trusted quality from Food Storage Guys—it won’t let you down! It can take several weeks for emergency crews to reach you during a major disaster. This 2-Week Deluxe Survival Kit contains all the basic equipment and delicious food one person needs for survival when other options are exhausted. Because it is organized in a convenient easy-to-carry wheeled duffle bag it’s easy to swiftly grab when you’re evacuating during extreme circumstances. Bring it along during road trips, hikes or campouts for quick access to life-saving provisions! In fact, you should consider having one in your car, your office and your home. Emergencies often occur without warning! Having a kit like this isn’t just convenient - it could actually save lives. In a best-case scenario, you will never have to use it. But do yourself a favor by having emergency supplies on hand just in case. You never know what could happen, and if things get chaotic, you will have peace of mind knowing that you and your family have the life-saving essentials you need. Emergency officials also recognize the need for being prepared. FEMA (Federal Emergency Management Agency) recommends that each person in your household should have at LEAST three days' worth of supplies in case of emergency.